CORPUS CHRISTI, Texas —It’s been six months since Hurricane Harvey made landfall in the Coastal Bend, leaving Texans with a powerful reminder of the dramatic impact storm surge can have on their communities. But storms aren’t the only coastal forces that are putting Texans at risk. Rising sea levels could make the already devastating surge impacts of Gulf of Mexico hurricanes even worse. But how much worse and how can we better plan to protect ourselves and our communities? 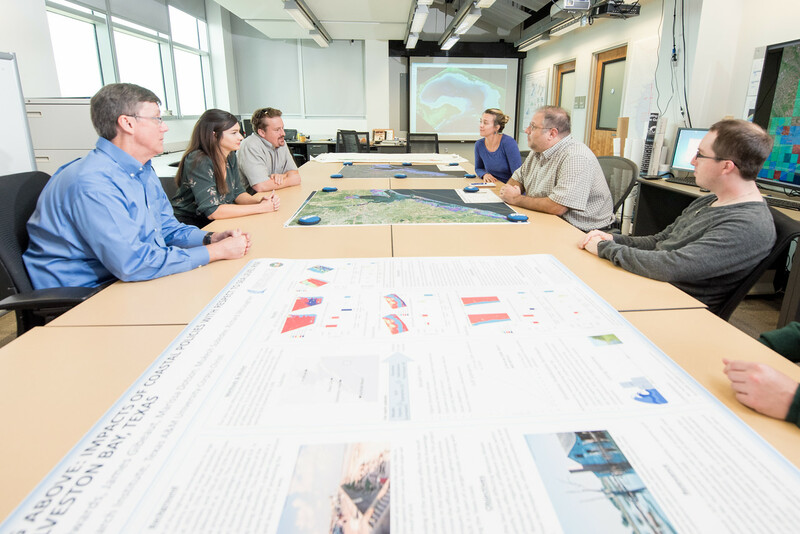 Scientists at the Harte Research Institute for Gulf of Mexico Studies (HRI) at Texas A&M University-Corpus Christi are using state-of-the-art computer models to examine how storm surges, when combined with rising sea levels, may impact the Texas Coast, giving residents a better understanding of their vulnerability in a changing coastal environment. 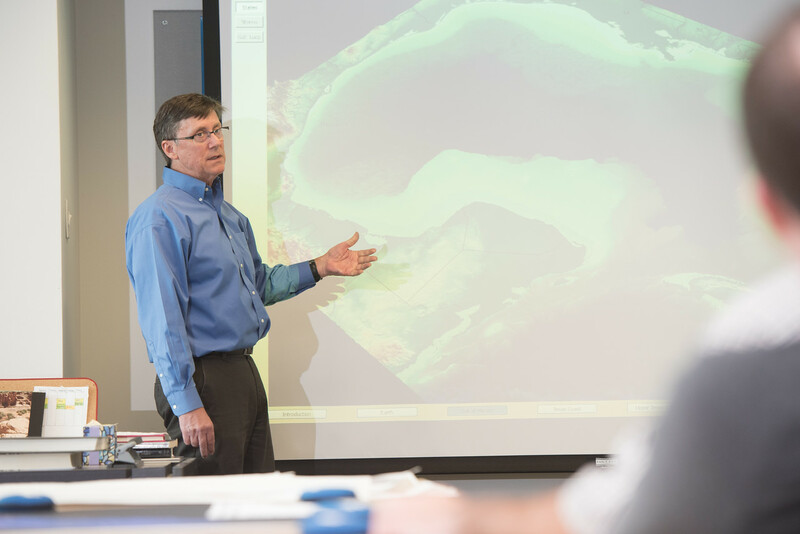 The modeling work, led by Dr. James Gibeaut, HRI endowed chair for geospatial sciences, will be included in the Texas General Land Office’s 2019 Texas Coastal Resiliency Master Plan. 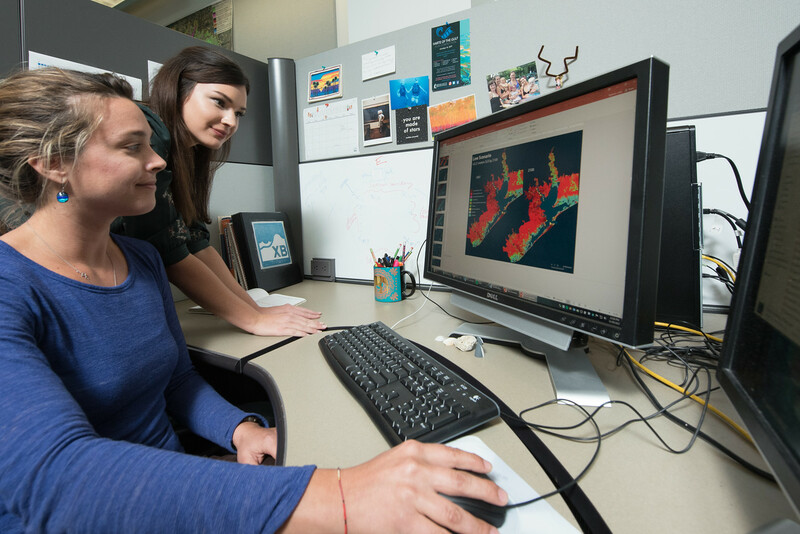 The computer models will examine both conservative and severe projected levels of sea level rise on the Texas coast, and show how those rising waters will impact coastal communities. 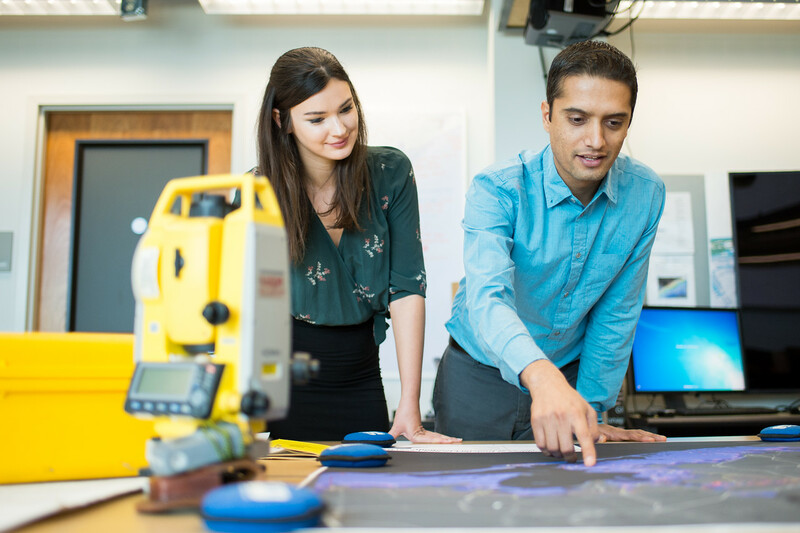 Then, HRI geospatial lab researchers will run a simulated Category 3 hurricane over these new landscapes to see how rising seas could alter or worsen the impacts of storm surge along the coast. The gentle slope of the land and deeper waters following sea level rise will allow surge and waves from hurricanes to extend farther inland and pack more destructive energy, Gibeaut said. Sea level rise can also cause hurricanes to become more destructive by altering or swallowing the protective coastal habitats. “We’ve seen marshes shrink and dunes decrease as sea level increased during the last century, which has made some areas become more vulnerable,” Gibeaut said. 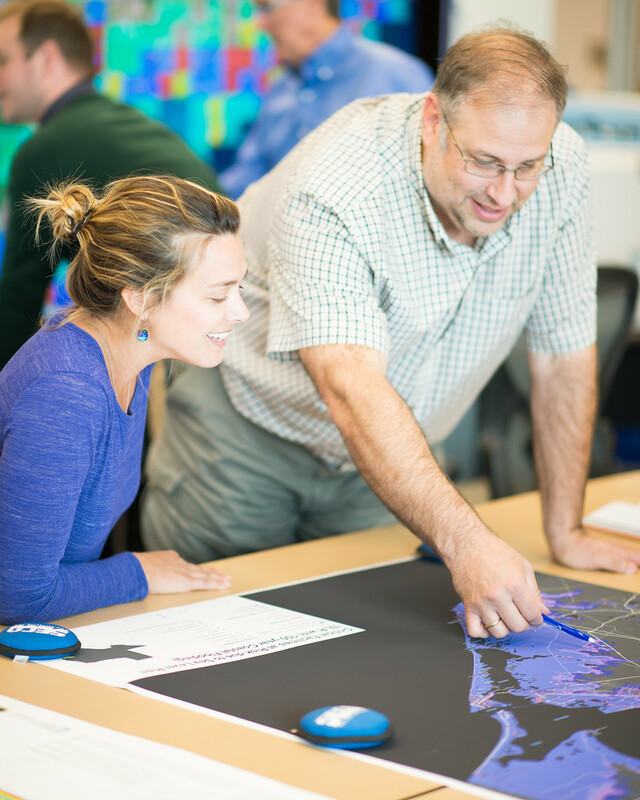 Modeling these scenarios will help coastal planners to design and prioritize projects and programs that can reduce our vulnerability to future storms and increase resiliency, allowing communities to bounce back faster. HRI has collaborated with the Texas General Land Office in assessing projects to increase coastal resiliency since 2012. Additional collaborators for the Texas Coastal Resiliency Master Plan include AECOM and Crouch Environmental Services Inc., along with a Technical Advisory Committee made up of coastal experts from state and federal agencies, universities, local governments, nonprofits, engineering firms, port facilities and other stakeholders. The 2017 Master Plan is available online, and the 2019 plan, with HRI’s updated modeling, will be presented to the Texas Legislature next year.